I know we all love to think that Trek dumped Lemond bikes purely because of Lance but if I recall correctly especially the later models were pretty unremarkable old fashioned looking bonded titanium to carbon monstrosities with odd geometry dated graphics and seriously over priced. Now he wants people's input into bringing a range back. 2 ways I see this, he either produces some proper hand made bikes or gets a graphic designer to come up with a new logo and font for some far eastern carbon. Nope. 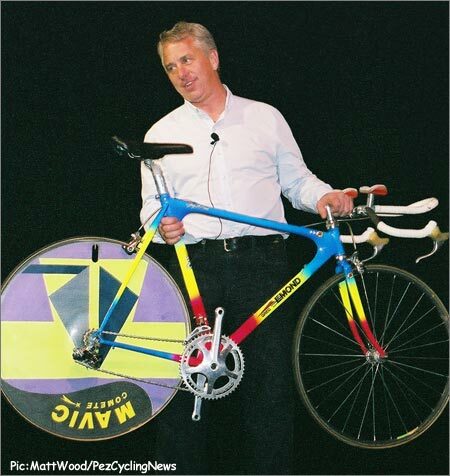 Probably he is feeling its the right time to cash in..
As I recall, the pre-Trek Lemond bikes were among the most innovative in the peloton at the time. They were among the first carbon bikes raced at the highest levels of the sport. They were among the first to employ titanium and then carbon lugs. And, if I recall correctly, they won at least one grand tour. Admittedly, Greg wasn't making them himself (Calfee and TVT I think). But to suggest that they were boring, cookie-cutter designs is a huge injustice. I'd be curious to see what Greg has in store for us. I suspect a collaboration with a well-respected (by us weenies) boutique builder wouldn't be out of the question. 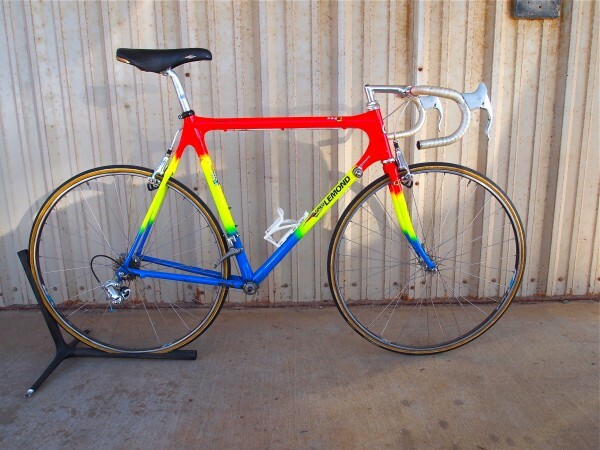 I would certainly consider a Crumpton-designed/manufactured Lemond-labeled frame. Or other similarly innovative builder/designer. But don't sell Lemond short. He is a pioneer of technology in the sport. I would expect innovation from a Lemond branded bicycle if it is free from another major industry label. Last edited by NS on Wed Feb 06, 2013 12:11 pm, edited 1 time in total. NS wrote: I know we all love to think that Trek dumped Lemond bikes purely because of Lance but if I recall correctly especially the later models were pretty unremarkable old fashioned looking bonded titanium to carbon monstrosities with odd geometry dated graphics and seriously over priced. nothing about his brand is so intrinsically tainted that he can't succeed if the product and price are right. nope. the market is full of 'ex-champ's' bikes. besides for many potential customers the first association with 'Lemond' is... doping. not very marketable.. The geometry isn't really 'wacky' it is basically what has been adopted by Trek as their popular H2 fit. They were good bikes for the time and they had, amongst other things, the first disc-brake cx bike (the poprad), and a nice 853 tubed road bike. I'd buy one, just because I thought they were cool back then. I would certainly consider one. Not because of his name or any associations with it, but because Lemond's geometry (long/low with a slack seat angle) happens to suit my morphology. Whether or not it is made in the far East would not be relevant to my decision (I'd hazard a guess that most protour frames are made in Asia), nor whether it's made by a "boutique" maker or a major manufacturer. As far as is possible I'd assess the product on its merits, not any emotional connotations the name evokes. Had a Lemond Poprad 853 canti. Always regret selling it, great geo. Did we? Don't remember it! tymon_tm wrote: nope. the market is full of 'ex-champ's' bikes. besides for many potential customers the first association with 'Lemond' is... doping. not very marketable..
Do tell? Because, despite Armstrong's cohort's best efforts there hasn't been a whiff of impropriety regarding Lemond. The bike would definitely succeed, the target market wouldn't be WW. It will also depend on his selling model. Is he going direct, like Canyon - I hope he does. Or mass selling to stores. Trek and Specialized almost have 100% monopoly on mainstream shops and supply-chain (not commenting on their bike quality here). There is nothing wrong with him seizing the moment and making $$$. You would too if you were in his shoes. If he differentiates himself it should be on geometry. Middle-of-the-road geometry with LeMond graphics gets him lost in the crowd. Look at a stack-reach plot for Cannondale, Trek, and Specialized and forge new ground. DJ, how much of a nice is really left in geometries? We saw lots of "comfort" oriented bikes coming out recently. How big is the demand in the "super racy" category, not already catered for by custom builders? Anyway it's great to see him back to doing something, other than just dishing out and being cranky. by Amazinmets87 » Sat Sep 29, 2018 10:54 pm » in Introduce Yourself / Gallery - Please use metric weights.